I'm an undergraduate philosophy student and an aspiring pastor. This story’s really been hitting me in the last day or two. Jesus goes after a habit I have, and habits I’ve seen other people cultivate too. For us overachievers who feel good about ourselves when we have a lot going on and spend our days running from bed to shower to work to second-job-on-lunch-break to more work to work after hours, Jesus points out the danger of all our good activities. And he really goes after them. Martha was serving. You know, the thing Paul commands all Christians to do in Philippians 2. The thing Jesus models in John 14 and commands his disciples to do. The thing Jesus does on the cross. Serving. But Jesus still calls her out on it. The key word in the story is “distracted.” We’re told Martha is “distracted” by serving, and therein lies the problem. She’s so distracted by all the good things she’s doing she mistakes the good things as necessary things. Jesus gently redirects her, and points out that even these good things are not necessary. I’ve been extending this to a slightly different arena too. I’ve gotten some difficult health news in the last couple days, which complicates already existing conditions. It’s easy for me–a productivity addict–to wonder why God’s taken away this good thing. Because I’m sick I can’t do all the things I wanted to do in the next few years. It’s set me back quite a ways. But, of course, that’s precisely what Jesus says. They were good things. But they weren’t necessary. Good goals are great but someone will eventually take them away. Drive and service and productivity will eventually die out. Health will go someday, perhaps sooner, perhaps later. But Jesus stays. That’s a hard thing for me to learn. I think it’s worth it, though. My dreams are not Jesus, and neither is my health. He’s better than them both. Kyle Bennet wants you to stop taking spiritual heroin-or, at least, that’s what he says. This spiritual drug is a bit ambiguous but has something to do with using Sunday worship as a kick to get you emotionally pumped and stable for the rest of the week or, alternatively, using spiritual disciplines as a spiritual fix to get you closer to God or to get God to speak to you about your future path. The solution, in his mind, is partially found in seeing spiritual disciplines like fasting, solitude, feasting, meditation, etc. as actions for others, disciplines that bring horizontal and vertical benefits. He accurately pinpoints our Christian tendency to see loving our neighbor as bound up in big–usually political–issues. So, we love our neighbor by getting involved in politics or donating to massive humanitarian organizations or doing food drives and supporting homeless shelters. But Bennet expresses this well and is worth quoting at length. 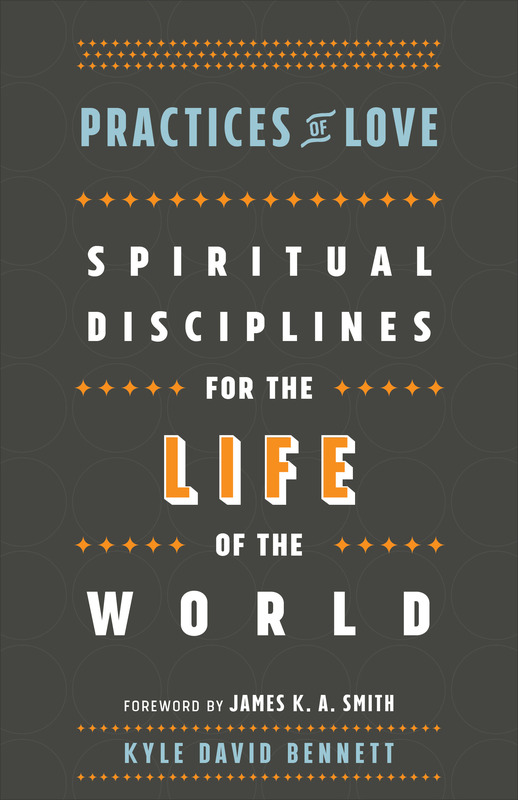 It’s a persuasive argument, and Bennett’s agenda is to show how each of the spiritual disciplines have horizontal benefits, and should be practiced with our neighbor in mind. For example, the practice of simplicity is not just about reliance on God or spiritual focus but about buying only what we need and giving the rest away to benefit our neighbor. Meditation is not just about directing our thoughts to God but about directing our thoughts towards our neighbor. This last one, especially, got to me. As a more introspective type I spend a lot of time lost in my thoughts and the vast majority of the time I’m thinking about myself in one way or another. None of the thoughts themselves are bad–thinking about future career paths, planning for the week, thinking about books, considering conversations, healthy self-criticism–all these are helpful and useful. But when they’re what I focus on more than anything else, we’ve got a problem. The best part of each chapter is the postscript where he outlines specific ways to practice various disciplines for one’s neighbor. Many of the chapters themselves are a bit long and repetitive. The book promises far more than it gives (“What I offer here includes some phenomenological analysis, theological commentary, historical appropriations, and pastoral admonition” (pg. xvi), but still has enough insights that it’s worth reading. Bennet is at his strongest, though, when he articulates the problem with conservative Christian obedience to the second greatest commandment. What he gets at is precisely what Dostoevsky says in the sermons of Father Zossima. Active love, as Dostoevsky calls it, is the hardest love of all. We all want to think about loving others. In today’s Christian world, and for me, that can sometimes look like trying to articulate Grand Ideas of Christian Visions of Public Life, or Big Ideas for How to Engage Culture, or Large Strategies for Christian Countercultures. None of those are bad, of course, but that’s the easy kind of love. Like Dostoevsky says, we all want to love our neighbor when it’s done quickly and publicly and with much applause and support. But in the day-to-day realities of our lives, where we go to work with others and (for me) walk down university sidewalks past hundreds (thousands?) of students, we’re much less eager to love. To take it to the bible, when Jesus told us what a neighbor is he didn’t tell us about the Good Samaritan who articulated the precise problem with Roman-ruled Israeli welfare systems. He told us about a traveler walking along a road who decided to love a wounded man in front of him with the money and resources he had. “Fear of the Lord,” Ellen Davis writes in her introduction to the Old Testament, “is the deeply sane recognition that we are not God.” If she’s right, she raises an interesting possibility for one of the most well-known references to the fear of God in the OT. “The fear of the Lord is the beginning of Wisdom, and the knowledge of the Holy One is insight.” (Prov. 9:10) Tremper Longman’s new book takes this as a title and proffers to offer a “theological introduction” to wisdom literature. While the book definitely qualifies as an introduction, “theological introduction” evokes something more complete than what Longman provides. For the first half, the book focuses on different sources in wisdom literature, with a chapter for each book traditionally identified as wisdom literature. The second half moves to a theological synthesis of wisdom under headings such as “Sources of Wisdom,” “Wisdom, Creation, and (Dis)order),” and “Wisdom, Covenant, and Law.” The book concludes by touching on wisdom in the intertestamental period and the New Testament. The strongest part of the book is the introductory material in the first half. Longman presents an interesting interpretation of Job and helped me think through what, exactly, Ecclesiastes is all about. His interpretation of Proverbs didn’t reveal all that much, but had some good moments. Unfortunately, the fatal flaw of the book rears its head during the later sections of the introduction. Longman deals with “Wisdom Elsewhere in the Old Testament,” a promising subject that highlights how different sections in Deutoronomy, and even different characters in the Biblical story have been read as wisdom literature. Longman’s approach to all of this is frustrating. He does little more in this (and following) sections than list relevant texts, restate them in his own words, and move on. The problem intensifies in the theological portion of the book. As he goes through different topics, he continues to provide more or less the services of a concordance, organizing texts relevant to the subject. He doesn’t deeply analyze the text, map the trajectories of different themes, or synthesize the broader ideas being conveyed. There are other issues as well: Longman constantly restates points established earlier, some three or four times throughout the book. When he deals with the story of Joseph, he spends four pages explaining the entire story. While it’s helpful that he doesn’t assume his readers are scholars, it’s also unlikely that they’re biblically illiterate. 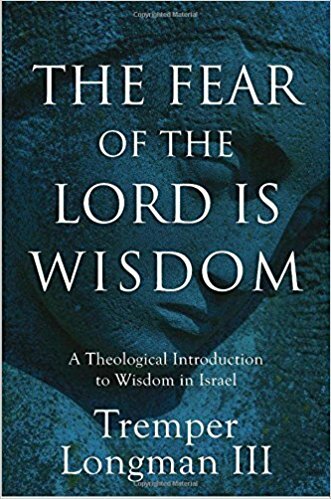 A “theological introduction to wisdom in Israel” is not the kind of book someone with no background in the Bible is likely to pick up. All of these concerns are well illustrated in his examination of the story of Joseph. After explaining the story, Longman examines how wisdom plays into the story. He notes that Joseph’s wisdom is connected both to his ability to interpret dreams and to his skill in managing the palace. He also notes that Joseph resists the advances of Potiphar’s wife in line with the admonitions from Potiphar, that he interprets dreams through revelation rather than through “dream commentaries,” and that he endures suffering well. Several concerns arise. First, even if all this is true it’s not clear where it gets us. Joseph indeed seems like someone who, over time, becomes more wise and serves God better. But how does this impact our theology of wisdom? Does it at all? If it doesn’t, then bringing it up seems odd–there are dozens of people in the Bible who embody various wisdom principles. Why mention Joseph? Longman connects Joseph to the vision of wisdom in Proverbs, Ecclesiastes, and Job. But before doing that he explains (again) the interpretation he put forward of each book. He does this throughout the entire book. It seems like every time he mentions one of these three books he re-explains his interpretation. Further, he starts his retelling of the Joseph story by insisting–as he does repeatedly throughout the book–that he is not assuming a distinct class of Biblical literature known as “wisdom” literature. All that is well and good, but one wonders why we need to be reminded over, and over, and over–in quite emphatic terms–that he is not saying that. This isn’t to say that the book is useless. The book introductions at the beginning are helpful, and Longman has many throw-away comments throughout that really are brilliant. His explanation of the Ancient Near Eastern context of wisdom literature is helpful and his chapter on gender issues in wisdom literature is challenging and thoughtful. Maybe the book just needed to be shorter and more focused in its intent, rather than the wide-ranging “theological introduction” it attempts to be. Disclosure: I received this book free from Baker Academic. The opinions I have expressed are my own, and I was not required to write a positive review. Back in November, some friends and I started a book club. We plan to focus on the classics (we first read Oedipus Rex, right after Thanksgiving, to cheer us all up), but we took a detour into “modern” classics this past month with Walter M. Miller Jr.’s A Canticle for Leibowitz. I slacked off and didn’t finish the book before the meeting. Consider this my attempt to think through the book on my own. Since the Enlightenment it seems the Western world has labored under the myth that knowledge will solve our problems. As Stephen Toulmin makes clear, Descartes embarked upon his quest for an objective Method in no intellectual vacuum. Rather, the violence of the religious wars and the perceived failure of theological inquiry to produce agreed upon, workable, universal knowledge drove him to find truth through some purely rational Method. If only we all follow the right logical sequence, he thought, we’ll end up in the right place. Of course, he was wrong and few today would support such a radically Cartesian agenda. But many of his other, more subtle assumptions, have endured. Among them is the rather dangerous idea that sneaks its way into policy discussions and even Christian circles to this day–the idea that perhaps knowledge can solve our problems. Sin and salvation are not concepts we can escape because they refer to the (empirically provable) fact that something is wrong, and the (somewhat less empirically provable) hope that something can be done about it. But when we replace a broken heart with a deficiency of knowledge, our vision of sin and salvation warps and we end up in a different “moral universe” that requires new priests to mediate god and new rites to approach him. For a long time, our priests were our scientists and our sacrifices were (at minimum) the first 18 years of our lives followed by (if we wanted a good job) four more years. Regardless, this vision of knowledge can still be detected in the sheer horror with which both conservatives and liberals discuss each other’s positions. There’s a strong sense that it is simply inconceivable that someone–in the 21st century!–could think this way. It is simply inconceivable that someone–given all of history!–could disregard the past so simply. And hiding in those exclamations is the assumption that knowledge should have been enough. Hiding there is astonishment that everyone could have all the same facts and come to radically different conclusions. Christian apologetics seems peculiarly stuck in this Enlightenment rut. The idea that there could be such a thing as “evidence that demands a verdict,” evidence that speaks for itself outside any frame of reference, seems more Cartesian than Christian. After all, if we take Romans 1 seriously the problem with humanity is definitely not a lack of knowledge but a lack of properly directed love. It isn’t that people need to be educated, they need to be changed. All of this is important background to understand A Canticle for Leibowitz. The author, Walter Miller, flew planes during WWII and participated in the destruction of the Benedictine monastery in Monte Casino. The Canticle seems like his attempt to exorcise the demons he encountered in WWII. Perhaps, however, it is actually an attempt to exorcise humanity, to understand how the human race, with so much science and knowledge, could slaughter hundreds of millions of people in the course of one short century. The book is told as a triptych and progresses mostly as a set of foils. Every smaller story presents an abbot that plays an important role, a younger monk or character that plays a role, an outsider to the monastery, and Benjamin (who seems to be Lazarus still wondering the earth after several millennia). These successive characters play off each other and illuminate different aspects of the story. The story tracks a small monastery founded after the order of Leibowitz (a fictional saint) as it: 1) attempts to preserve knowledge shortly after humanity nearly wipes itself out through nuclear holocaust, 2) guides humanity through a new Renaissance, and, 3) survives as humanity wipes itself out, yet again, through another nuclear holocaust. Saint Leibowitz, the founder of the Order, died preserving the “Memorabilia,” a miscellaneous set of documents that preserved some of the scientific and literary accomplishments of human civilization. The Order takes it upon itself to continue the preservation. Thaddeo, however, is hostile to this desire. For him, the Memorabilia represents huge advances in learning that could move civilization forward in leaps and bounds. Paulo’s hesitancy is nonsensical to him: “If you try to save wisdom until the world is wise, Father, the world will never have it.” (pg. 225) Thaddeo styles himself as a savior, which explains some of his hostility. Thaddeo sees the majority of the world still disease-ridden and poor, laboring in medieval economies and agrarian communities. He wants to move the world forward, and sees knowledge–”wisdom”–as the key to doing this. Thaddeo cannot imagine that a civilization with incredible knowledge could have gone wrong. But the Church places knowledge in its proper place, at least some of the time in the story. If one is only great and wise, the Churchman says, one can still be lost. In fact, greatness and wisdom may be dangerous themselves. In the middle of all this is the rather curious figure of Benjamin. Mistaken for Saint Leibowitz at the beginning of the story, Benjamin is the last Jew on planet earth. He also happens to be Lazarus raised from the dead, but a Lazarus who took Jesus command to rise again not as identifying Jesus as the Messiah, but as commanding Benjamin to wait for the Messiah. And so, Benjamin wandered the earth for millennia and continues to do so throughout the centuries that the book charts. None of the characters in the book are quite sure what to do with him, and neither am I. He’s enigmatic, but it seems like his primary function is as a foil to the monks of Leibowitz. While the monks wrap themselves up in the politics of the world, attempting to guide the world’s appropriation and development of knowledge, Benjamin sits in the hills and waits for the Messiah, uninterested in the developments of mankind. In an especially poignant moment he mistakes Thaddeo for the Messiah, only to realize his mistake and slink away. Benjamin floats in and out of the story, reminding the characters that he, at least, is still waiting for a Messiah–reminding them that he, at least, sees no salvation in knowledge. The third story contains one last set of foils important for this reading. In the last few weeks before the human race annihilates itself again, Miller presents us with one more abbot, Zerchi, and another enigmatic figure, Rachel. Miller doesn’t make entirely clear who (what?) Rachel is, but he does hint that she may be Mary reincarnate. In any case, the specifics are irrelevant to this interpretation. Zerchi and Rachel both play the same role. Zerchi gives advice to a mother and daughter affected by radiation poisoning after the first nuclear missile launches. The doctor advises the mother to euthanize the child, and Zerchi strongly opposes it (being a member of the Church). The mother still decides to euthanize her daughter and Zerchi drives with them on their way, in a desperate final attempt to dissuade her. The Canticle is an attempt to explain Miller’s experiences. A civilization endowed with unheard of knowledge and power had managed, in the 20th century, to annihilate large segments of itself and step right up to the brink of total self-destruction. The Enlightenment and Renaissance proceeded on the notion that religion created division but knowledge engendered unity. Descartes and his successors believed that with the right knowledge and proper method mankind could save itself, but Miller saw knowledge and method become the instruments of destruction. Miller’s ultimate critique is simple: he is Benjamin, sitting outside the struggle, positive that knowledge is not the Messiah but certain that someone is. A Canticle for Leibowitz rails against the dangers of knowledge and deconstructs any savior complex knowledge-producers have. Miller will have none of the idea–whether baptized into Christian lingo or not–that education and knowledge will save the world. Christian education does not change lives. Data will not reorient hearts. Books are not enough. Materially great and materially wise people and civilizations have not put up guardrails against self-destruction, they may have actually paved the way for it. When the serpent came to Eve he lured her with the promise of knowledge; and the temptation to know, to deify knowledge, remains with us still. To believe that knowledge will fix the world is to believe that our original sin can save us, that we can get back into the garden by being thrown out again. But knowledge is not our problem. Sin did not primarily deform our heads, it deformed our hearts. Eve thought that the tree of knowledge was desirable, good, beautiful, delicious. Thus, the Christian call cannot be to turn to a different, sanitized tree of knowledge. Ignorance is not our problem. As Miller puts it, we don’t need wisdom and power to return to Eden, we need love. I’ve had a rather odd relationship with James K.A. Smith since 11th grade. Until this book, I had never read him or actually listened to him, beyond the odd lecture on Youtube here and there. However, I felt like I’d read him as my High School more or less mediated his Cultural Liturgies project to me as its official position–something I’m quite grateful for. Since my parents quasi-homeschooled me, I only went to this school once a week. Yet I came to anticipate it. The staff carefully baked Christian liturgies into every aspect of the school day, and strove to create the sort of thick community I wanted. I loved it. 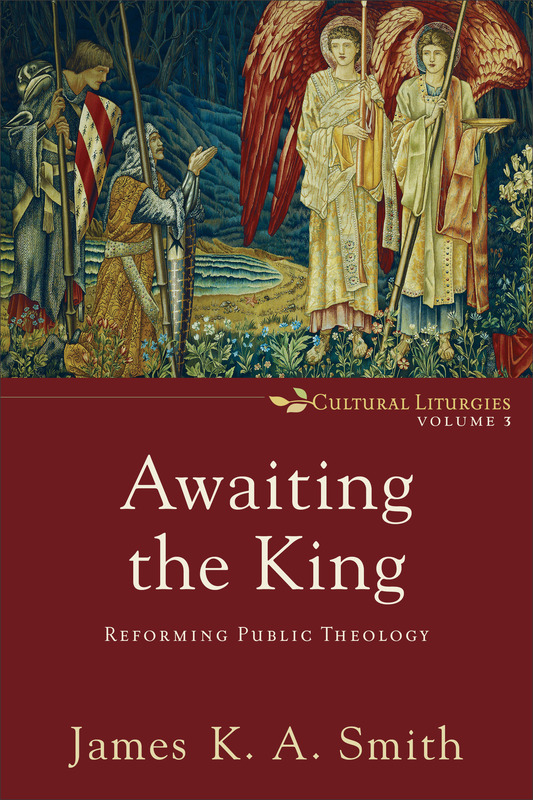 I approached Awaiting the King: Reforming Public Theology, then, with a somewhat odd lens. I’m certainly nowhere near well-read enough to evaluate Smith’s engagement with Jeffrey Stout, Jonathan Chaplin, or Oliver O’Donovan. I came to Awaiting the King as a young Christian citizen, interested in politics, and soon to vote in his first election. Happily, it turns out I’ve been asking many of the questions Smith addresses in the book. Is Liberalism (classically conceived) incompatible with Christian faith? What habits of the heart does democracy or capitalism cultivate? What–if any–is the place of the church in politics? Is there a single political order the Bible mandates? Contrary to these assumptions, “the political is less a space and more a way of life; the political is less a realm and more of a project.” (pg. 9) With this, he sets up the point of his first two chapters. Politics is not something Christians can escape entirely, nor is it a realm Christians can separate from their spiritual life and merely step in and out of for some door-knocking and voting. Politics is baked into the fabric of our lives. Perhaps this is easily visible in our time. One can hardly open social media or turn on a TV show or a movie without being inundated with politics. Even further: do you shop at Target or boycott it due to their bathroom policy? Do you get your news from Fox or CNN? Do you give money to the homeless man on the side of the street? Do you buy oil from BP? Do you use an electric car? Do you send your children to public school? In the face of these required paradoxes–thorough Christianity without sheer theocracy, tolerance and love for others without concessions to neutrality, etc.–it may be tempting to simply opt for some neutral stance. Smith points out how many have appealed to St. Augustine’s “two cities” theology, arguing for a notion of dual citizenship. I’m in no place to judge the legitimacy of Smith’s critique of this position, but he argues that Augustine had no such intent. For Augustine, the earthly city and the heavenly city are fundamentally opposed because they are organized not around beliefs (“Abortion is wrong,” “Gay marriage is right,” “Capitalism is just,” etc.) but around loves. The earthly city has no object of love beyond itself. Its own peace, prosperity, justice, and equality is everything. Because there is no Lord to claim vengeance, we must claim vengeance. Because there are is no Second Coming to overcome injustice, we must inaugurate whatever kingdom of peace and justice we desire. This is why conservatives and liberals are unable to have discussions of policy. They aren’t talking about policies, they’re talking about gods. This is all quite clear, up to this point. At the name of Jesus, every knee must bow, and the call of the church is to bring more people into the Kingdom of God. How, then, can we possibly exclude political authorities from such obedience, or order them to privatize their spiritual lives? How can we assent to political habits that deform us from from the image of Jesus? The resurrection of Jesus inaugurated a new kingdom where Evil and Death and Injustice no longer reigns, and in which all nations are called to surrender their authority to the King of Kings. The question is how. Smith spends the rest of the book exploring some possibilities, but this is where it is least clear. What political order follows the standard of Jesus? As one of my teachers often emphasizes, pluralism is first a fact rather than a policy. There are diverse “spiritual orientations,” we simply have to decide what to do with them. From a Christian perspective, we can’t just shrug our shoulders and surrender to a procedural relativism when we start engaging in the public sphere. What, then, do we do? This is where the books becomes unclear. Smith gives us no final direction, he does not resolve the dispute one way or another. The closest he comes is a sort of, “well, we have to deal with pluralism and allow some form of religious freedom.” The question, of course, is whether that itself is not a deeply formative habit. In other words, when dealing with penultimate political issues, if we must treat all religions equally, will that not deform us, making the sheer exclusivity of Jesus’ claims politically unacceptable, at best, and morally repugnant, at worst? Unfortunately, Smith doesn’t seem to give a clear answer. Another frustrating part of Smith’s book is his response to the challenge oft-leveled at the Cultural Liturgies project, namely that there are (many) individuals who grew up fully immersed in liturgical Christian worship and are still deformed and passionless about Christianity. While Smith clearly takes the critique seriously, he fails to give a satisfying answer. In all honesty, it seemed like Smith himself hadn’t decided what to say in response, or how to nuance his project to accommodate. The best of the answer is simply that there are many liturgies in the world, not just Christian ones, and Christian formation requires whole-hearted devotion to Christian liturgies. Unfortunately, this answer sounds like the apparent failure of liturgy to deform individuals is solved by more liturgy. I do want to emphasize that I highly doubt this is actually Smith’s answer, but it is the way it came across to me in the book, a point that frustrated me a bit. Perhaps Smith simply wants us to live with our feet firmly planted in the New Creation Jesus inaugurated in his resurrection while surrounded by the Old Creation. Somehow, Christians are called to serve the Lord of Life while immersed in the Kingdom of Death. We cannot pretend to serve only Reason or some Neutral Common Good on election day and worship Jesus on Sunday. Christians are called to live as citizens of the City of God all the time, where final justice and real peace are postponed till the last days. Yet we are called to be agents of this Kingdom of Light, bringing others into it. We cannot surrender our Christianity when we engage in politics. Instead, while we fight and pray for the peace of the earthly city, we must remember that we are praying to the One who sits on the throne and says, “Behold, I am making all things new.” We pray not for some carnal peace, but for the Kingdom of Life to conquer Death forever. And we pray for our Father, not our President, to make all things new. May we always remember that. I suppose this is a bit late, but, as they say, better late than never. I’m offering my reading goals for 2018 mostly as a form of accountability, to provide the added motivation to follow-through for the few people who read this blog. All in all this comes up to somewhere between 44-48 books, depending on how many books are in the “series” (see below). I’ll probably update this a time or two throughout the year to keep the accountability.